All UAS campuses are in coastal ocean communities; many of our programs take advantage of our locations for marine and maritime study and career opportunities. 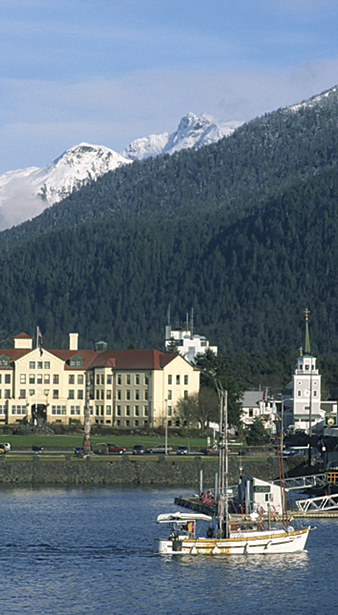 Juneau is the state capital and the largest city in southeastern Alaska. The city offers a flourishing downtown business and arts scene, an extensive library system, and public transportation. 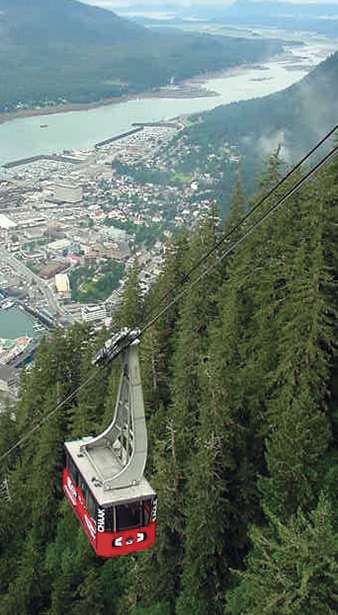 As Alaska’s capital, Juneau sits at the epicenter of Alaska’s governmental and economic affairs. 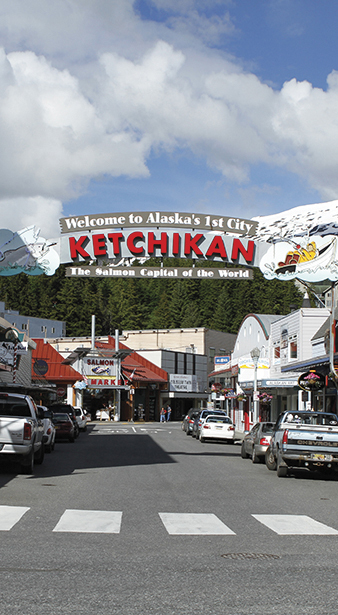 Ketchikan is the first port of call for northbound cruise ships and state ferries, and is a center for commercial fishing and the maritime and timber industries. Sitka has a rich heritage as a Tlingit village and the former capital of Russian America. A thriving fishing fleet, healthcare system, the U.S. Coast Guard and Forest Service call Sitka home. Offers housing and a traditional campus life experience as well as on-campus and online classes. With student activities, clubs, a recreation center, and residential halls and apartments, life on the Juneau campus could be considered comparable to attending a small private college. Juneau International Airport (JNU) is served daily by major airlines Alaska Airlines and Delta Airlines (May–August), and regional airlines Ward Air, Harris Air, and Alaska Seaplanes. Anchorage, Alaska (ANC) and Seattle, Washington (SEA) are the main airline hubs to Juneau. Communities in Southeast Alaska are served by the state ferry, the Alaska Marine Highway System. Equipped with cabins, seating lounges, and a cafeteria, these vessels cruise north from Bellingham, these vessels cruise north from Bellingham (about 90 miles north of Seattle, Washington) and Prince Rupert, British Columbia. North of Juneau, ferries depart from Haines and Skagway, which are connected to the state road system. Ferries are equipped to take cars and bicycles. The Juneau road system does not connect to any other communities. To drive to Juneau, drivers must book their vehicles on the Alaska Marine Highway System or Alaska Marine Lines, a barge shipping service. While it is possible to drive to ferry terminals in Haines and Skagway (via the Alaska-Canada highway—the Alcan) from “the lower 48”, it is a trip that requires careful preparation. It is 1,700 driving miles from Seattle, Washington to Skagway, Alaska. Offers on-campus and online classes and is home to the UAS Maritime Training Center. Ketchikan International Airport (KTN) is served daily by major airlines Alaska Airlines and Delta Airlines (May–August), and regional airlines Aero Services, Island Air, Pacific Airways, and Misty Fjords Air. Anchorage, Alaska (ANC) and Seattle, Washington (SEA) are the main major airline hubs to Ketchikan. Communities in Southeast Alaska are served by the state ferry, the Alaska Marine Highway System. Equipped with cabins, seating lounges, and a cafeteria, these vessels cruise north from Bellingham (about 90 miles north of Seattle, Washington) and Prince Rupert, British Columbia. North of Ketchikan, ferries depart from Haines and Skagway, which are connected to the state road system. Ferries are equipped to take cars and bicycles. The Ketchikan road system does not connect to any other communities. To drive to Ketchikan, drivers must book their vehicles on the Alaska Marine Highway System or Alaska Marine Lines, a barge shipping service. Offers on-campus and online classes. The Sitka campus’ signature programs include nursing, fisheries, and construction. Sitka Rocky Gutierrez Airport (SIT) is served by major airlines Alaska Airlines and Delta Airlines (May–August). Anchorage, Alaska (ANC) and Seattle, Washington (SEA) are the main major airline hubs to Sitka. Communities in Southeast Alaska are served by the state ferry, the Alaska Marine Highway System. Equipped with cabins, seating lounges, and a cafeteria, these vessels cruise north from Bellingham (about 90 miles north of Seattle, Washington) and Prince Rupert, British Columbia. North of Sitka, ferries depart from Haines and Skagway, which are connected to the state road system. Ferries are equipped to take cars and bicycles. The Sitka road system does not connect to any other communities. To drive to Sitka, drivers must book their vehicles on the Alaska Marine Highway System or Alaska Marine Lines, a barge shipping service.